If anything makes kids happy it's sticking candy onto giant cookies with even more candy and even more sugar. If anything makes parents happy is finding that perfect activity on a Sunday afternoon that keeps the kids out of trouble, even if that means while on a sugar rush. 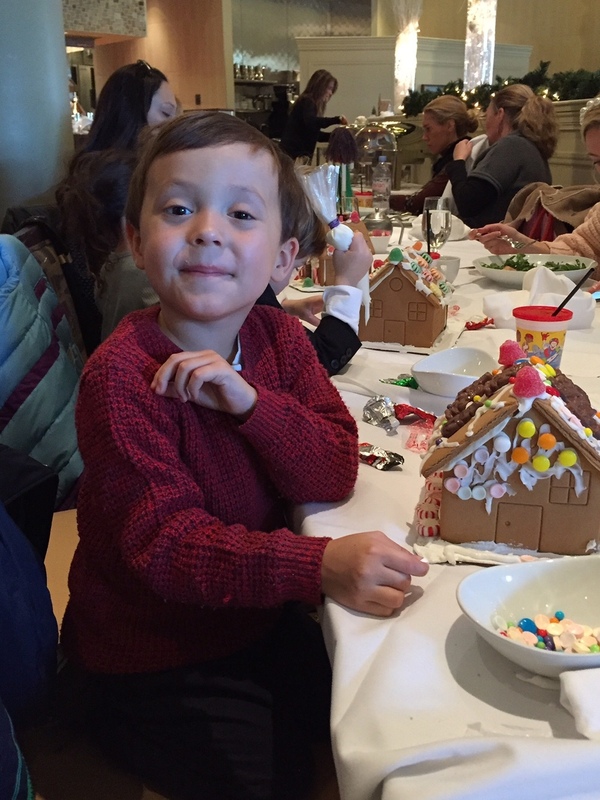 This past Sunday, we hosted the first annual Gingerbread House Workshop with one of our favorite restaurants in town, Davio's in Chestnut Hill. After being served a delicious Davio's lunch, the super talented Pastry Chef, Michelle Boland created the most holiday-perfect assembly line of architecturally exquisite gingerbread houses, a king's ransom of candy and enough sticky frosting to insulate an actual house. The dads kept one eye on the Sunday football game and the other on their little creative geniuses. The moms made sure the sugar intake was kept to a minimum while proudly announcing, "wow! good job honey!" while the kiddos, so excited about the fact that they were actually encouraged to play with their food, couldn't possibly appreciate the special time they were spending with their little friends and their families creating their one of a kind masterpieces. We can't thank Davio's enough for gathering all of these fun kiddos for such a special holiday treat while also donating some amazing gifts to the Toys for Tots! This year's event was a hit, selling out before we knew it, with a wait list to boot. We cannot wait for next year's workshop and we know you can't either! And in the meantime, maybe you'll catch us with our kiddos enjoying some delicious culinary creations at Davio's.